Cinematographers, Film, Italian Talent, Reviews, Interviews & Features! Artists often bring up ideas that we may or may not agree with but it is important to see things from differing viewpoints. The artistic mindset is about the freedom to express ideas; they might be truth or they might just be opinion but in a well-balanced society it’s important to have all ideas heard and then weighed out. Whatever your opinion is on any particular subject, there is someone who disagrees with you, and that person should be important to you. By presenting an argument that challenges your belief, you either become more committed or you reassess; either way, this person has done you a favor. Artists of many different mediums have challenged our thinking for eons. Filmmakers like Xing-Mai Deng are simply the newest manifestation of this. As a cinematographer, Deng is the modern day painter with film and digital images as his canvas. The way the visuals appear in the Drama/Thriller “Drone” (2015) affects the viewers’ attitude towards one of the most modern approaches in warfare in an almost imperceptible manner, but achieves the desired emotional impact. It was for this very reason that producer Abi Corbin sought out Xing-Mai and persuaded him to take on the project. “Drone” is a story about a rookie air force drone pilot who finds himself increasingly attached to a target as he watches from halfway around the world. As a newly minted drone pilot, Matt (played by Daniel Sharman) enthusiastically flies his first stalk and kill mission, unconcerned that he knows nothing about the enemy target in his crosshairs. As the hours of surveillance turn into days, then a week, he finds it increasingly difficult to see the target as a mere white dot on the screen. When the strike order finally arrives, Matt must face the very real person behind the pixelated image. The manner in which the characters and their surroundings are framed is exceptional in communicating what they are feeling. Whether it be of a claustrophobic nature or the insignificance of being miniscule in an open space, the viewer feels the impact of this perspective. The short, cutty, and lock-off shots of the main character early in the film contrast with later long moving shots to show the internal struggle of the character and the tension of the situation when Matt must decide to pull the trigger during the strike. We immediately understand the tunnel vision and comprehend that time is slowing down for this drone pilot. During the final sequence of the film as Hunter (played by Michael Trucco) tells Matt about his own story, the extreme-wide shot inside the drone hanger with a military drone in the foreground and the rusty roof on top depicts how small they are compared to the world of drone warfare. The metaphor relates that this kind of story happens every day. One added benefit for Deng working on this film was an association with the famed Industrial Light and Magic who had allowed the production to use their drone model in conjunction with green screen shots. The investment was obviously well placed as Deng and his crew achieved a nomination for Outstanding Achievement in Cinematography (2015 First Film Festival) as numerous awards from others such as the DisOrient Asian American Film Festival, Phoenix Film Festival and numerous others. While these accolades were appreciated by Xing, he reiterates that his connection to the veterans who have been in these situations and the positive response which he received that “Drone” accurately and honestly portrays the experience of these men and women means that his highest goal was achieved. Actor, Film, Italian Talent, Mexican Filmmakers, Reviews, Interviews & Features! In film, theater and television, it’s the writers who create the characters; their personas, their lines and even their fates are predetermined, written down before cameras ever start rolling. But it requires a skilled actor to embody a fictional hero or villain, and there is nobody more skilled in personifying a character than Daniel DelHoyo. Building on the foundation of the writer’s words, DelHoyo immerses himself in his roles. Through him, words on a page come to life and become the living, breathing manifestation of the writer’s creative vision. Born in Mexico City, DelHoyo’s love of performance began in high school when an opportunity arose for him to write, direct and act in a production showcased to an audience of his peers. The experience awoke in him an immense talent, which had been lying dormant. DelHoyo’s charisma and witty humor had long been recognized by his peers, but the play marked his first foray into drama and serious performance. From the moment he first sat down to write the script, he realized he was destined to pursue a career as an actor. Since those early days, he has become one of the most sought after actors in the business. Though there was a time when he applied his natural charm and jovial personality almost exclusively to comedic endeavors as a sort of class clown, he has far exceeded that old niche. Now, there is no production mood or genre he cannot expertly adapt to, and he is as at home in the horror and suspense genres as in comedy. His latest role as Danny in “Por Sofia” is a perfect example of how diverse his talents are. A tale of intrigue and an endless pursuit of justice, “Por Sofia” follows a detective intent on solving a decades-old murder. The film stars Kary Musa (“Iron Man 3,” “What Lies Beyond… The Beginning”) as Alexa, a young woman whose mother’s murder 20 years earlier continues to haunt her. DelHoyo delivers a knockout performance as Danny, a night shift server at a restaurant and one of the detective’s prime suspects in the crime. The director of “Por Sofia,” Alfredo Ibarra (“Classroom 6,” “Processing”), chose to cast actors in the film who had personalities similar to those of their characters. DelHoyo, however, was an exception. But playing a character so different from himself is his wheelhouse, and the challenge allowed him to exhibit his invaluable gift for shining brilliantly when pushed out of his comfort zone. The intense twists and turns in “Por Sofia” ensure audiences remain firmly on the edge of their seats, and DelHoyo’s gripping portrayal of Danny is an absolute marvel of suspense that keeps viewers questioning his guilt until the very end. The film is in post-production and will be released early this year. One of DelHoyo’s most fascinating roles, and the one he says is his favorite, was in the 2015 film “Ilusiones SA,” an adaptation of Spanish author and playwright Alejandro Casona’s 1949 play “Los Árboles Mueren de Pie.” His character, known only as Mailman, is part of a shadowy-yet-benevolent organization called The Illusionists. The group specializes in staging well-meaning hoaxes and deceptions and is comprised of equally mysterious codenamed figures, such as The Director, played by Jaime Camil (“Jane the Virgin”). The film tells the story of a man who commissions the group’s services to keep his wife from learning that their grandson has died en route to visit them. As an exceptionally dedicated and professional performer, DelHoyo was determined to do the role justice. He went to great lengths to embody the part and in the process put the role ahead of his own safety. In preparation, DelHoyo completely immersed himself in the role. His sleepless nights were spent studying 1950’s Campeche, Mexico, the film’s setting, and listening exclusively to music played in the region during that era. He even went so far as to volunteer at the Post Office to better understand the character. Over 1,000 people auditioned for the role, but that level of commitment is what made him the obvious choice. It’s also what made his character so memorable and integral to the film. “Ilusiones SA” was released in Oct. 2015 to audiences in Mexico, and will be released in the U.S. later this year. There are actors who are defined by a role, and there are roles that are defined by the actor, and careers often hinge on this subtle distinction. Daniel DelHoyo is without question the latter, an asset to every production whose chameleon-like talent for transformation has enabled him to deliver awe-inspiring performances time and time again. When watching him in any of the roles he’s played, it’s not an actor that audiences see on the screen; his characters become actual, living people, with flaws and virtues so compellingly human they become as real as anything else. That quality is the mark of a truly great actor, and it is what has established DelHoyo as one of the most prominent figures in the highly competitive industry. While there are countless professional saxophonists working in the music industry today, few have had the success of Italian musician Gianni Vancini. 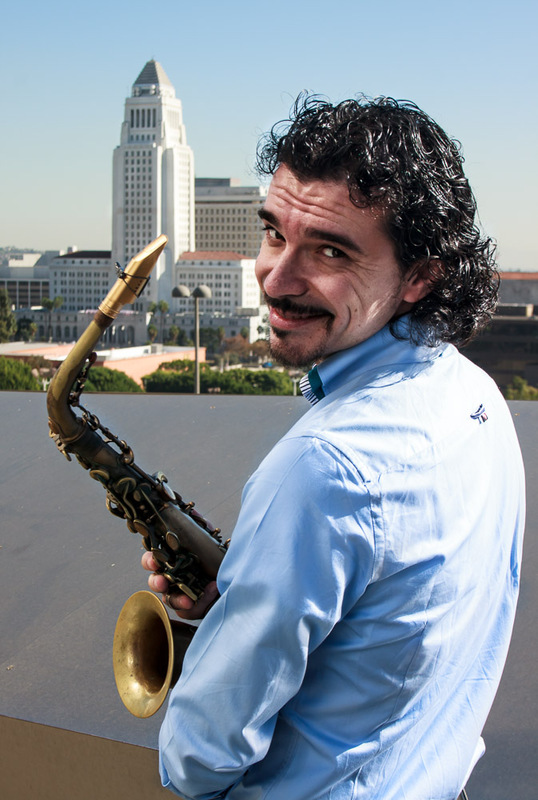 An award winning saxophonist, Gianni Vancini has continued to woo audiences over the past two decades with his magnificently dynamic sound, which blends elements of jazz, funk, soul, and R&B. Vancini, who has performed all over the world, has been recognized and endorsed by several of the music industry’s most prestigious companies including Canada-based Légère Reeds, Italy’s Grassi Saxophones, as well as American-based companies Cannonball Saxophones, Theo Wanne Mouthpieces, and AMT microphones. Having worked with an incredible list of internationally known musicians, Vancini names musician and friend Eric Marienthal as someone who has greatly shaped his personal approach music. Marienthal, who is a Grammy Award winning contemporary American saxophonist, has released several successful records including Oasis, which ranked in the top five of the Billboard Contemporary Jazz Charts. In addition to collaborating with such well known artists as Andrea Bocelli, and Sting, Vancini has also used his musical genius to help raise money for charity organizations like Terra Mosse; an organization which came into being after two earthquakes with magnitudes of 5.8 and above hit Northern Italy within 10 days of each other leaving businesses in shambles and thousands of people homeless. “I did a song for a benefit two years ago after a series of tremendous earthquakes hit my birthplace in Mirandola, Italy. Together with a famous radio station, we decided to put together an all-star band to raise money for the territory,” explained Vancini. The all-star band, which included Gianni Vancini (saxophone), Claudio Dirani (drums), Marco Dirani (bass), and Emiliano Fantuzzi (guitar), released the single CD entitled Insieme, which was produced by the Italian radio station Radio Pico, in 2013. Vancini is currently represented in America by the artist management company Max Bernard Management, which also represents internationally known musicians Terry Wollman, Maltida Madison, Rob “Funksta” Bacon, among others. As for the future, Gianni Vancini plans to continue his life-long passion of playing music around the world and hopes to embark on another tour in the United States later this year.